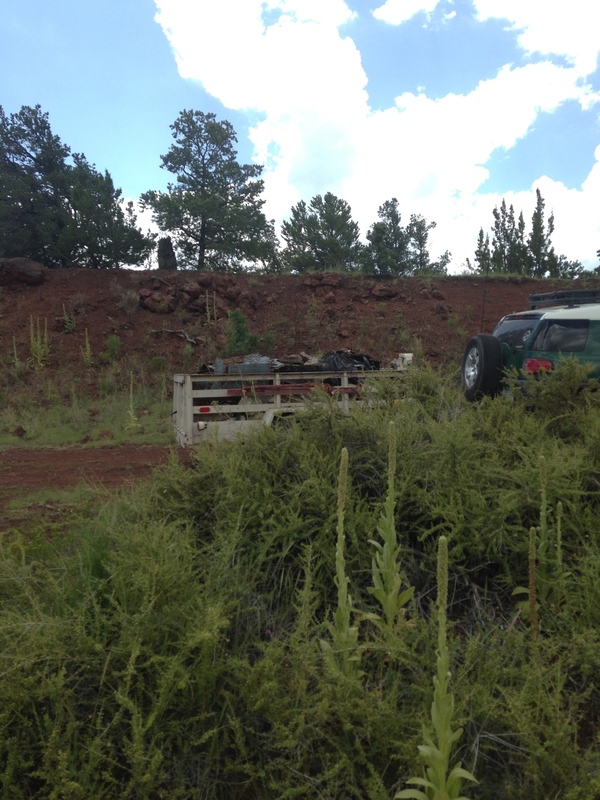 08/15/15 Volunteer Trash Cleanup Project Near Sheep Hill Tank off of Forest Road 791 and Historic Route 66 Outside of Flagstaff. 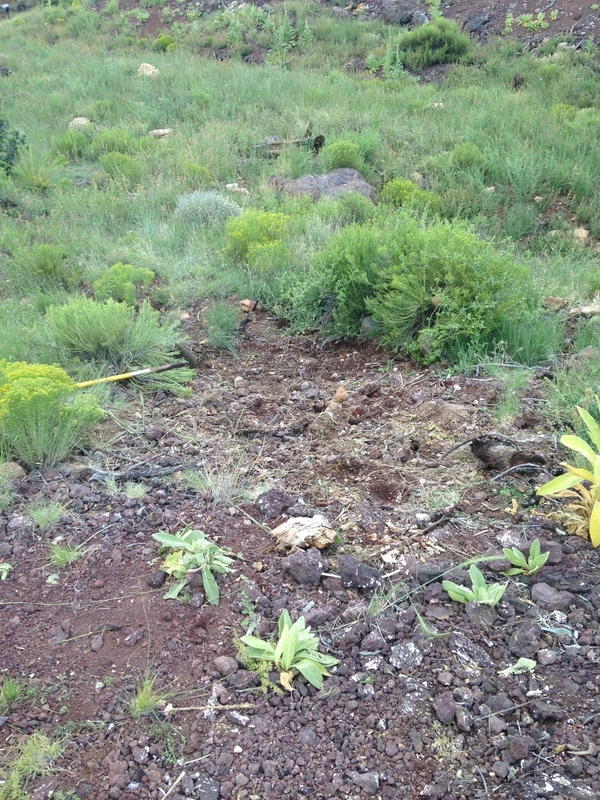 Our Trash Cleanup Project along near Sheep Hill Tank was a great success! We are grateful to all of the hard working volunteers who spent their Saturday with us removing 5.63 Tons of trash spread throughout the area, including household and construction trash dumped in this beautiful area. We removed large piles of shingles, a broken-up concrete slab, pallets, several couches, televisions, mattresses, tires, rugs and carpet, plastic and glass bottles, aluminum cans, clothing and shoes, cardboard, broken glass, and much more. Volunteers worked for more than 5 hours and filled the rollaway dumpster before we could collect everything from the area. We will let everyone know when we plan to go back. We used our new Backcountry Carrier from Ascender Game Carrier. We are very excited about this carrier because it allows us to quickly and safely remove heavy loads from areas we can't get our trucks into. It also helps us quickly carry items that are too heavy for volunteers to carry. Leaving as minimal a footprint as possible is extremely important to us and the Backcountry Carrier helps us do just that. Thank you to Scott at Ascender Game Carrier and The Arizona Trail Association for putting this awesome piece of equipment in our hands to expand the areas across the state we can cleanup and restore. Stay tuned for video of the carrier in action. We want to say thank you to all of the organizations that made this cleanup possible: The Arizona Trail Association, Coconino Forest Service, Ascender Game Carrier, Sprouts Flagstaff, Home Depot Flagstaff off Marketplace, City of Flagstaff Cinder Lake Landfill, and First Class Sanitation.